Best Seller Publishing announces the release of Camilo Graza’s new book, “Passport to Heavenly Eternal Life.” It will be available for free download in the Amazon Kindle Store for one more day on March 29th. 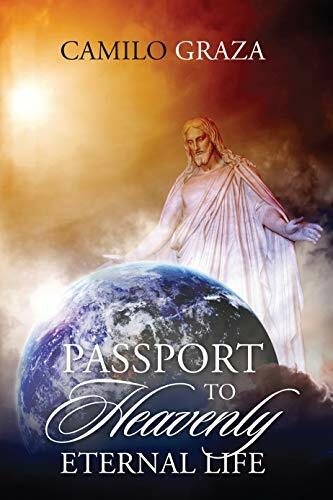 “Passport to Heavenly Eternal Life” by Camilo Graza will be free and available for download on Amazon for 1 more day (03/29/2019) at: https://www.amazon.com/dp/B07PLMJKBP. “This is book is not only amazing but it’s really “awesome.” Everyone without exception should get this book. Please don’t delay. Time is of the essence.” – Claudia P.
Awesome! Great bookI can read the book over and over. Definitely recommend passport to heavenly eternal life.Thank you Mr. Graza! – Leah L.